Welcome to Chronus, an elegant Home & Lock screen Clock, Weather, News feed and Calendar widget – now with Dash Clock Extensions support! Functionally similar to its older brother the Cyanogen Mod cLock widget and brought to you by the same developers, this independently released, stand-alone widget brings the same elegant look and feel, enhanced with many new features and improvements, to the broader Android community. This release reverts Chronus to target Android 7 to bypass the back-end service restrictions introduced by Android 8 (Oreo). This is required to support DashClock extensions on Oreo devices. 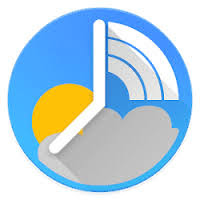 DashClock has not been updated in over 2 years and unfortunately it’s extensions will no longer work properly on devices running – and apps targeting – Android 8 (Oreo) and later. We will be removing support in a future release of Chronus for Oreo devices.